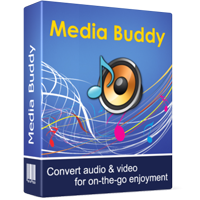 Media Buddy - converts your audio and video files to formats compatible with iPod, iPhone, Zune, PSP, Archos, XBOX360, PlayStation3, Wii, Creative Zen, iRiver, Cowon. If your files are DRM-protected, you need to use SoundTaxi. Media Buddy - convert even faster! If you find other software that converts faster than Media Buddy preserving same quality - we will refund your money! Value your time! 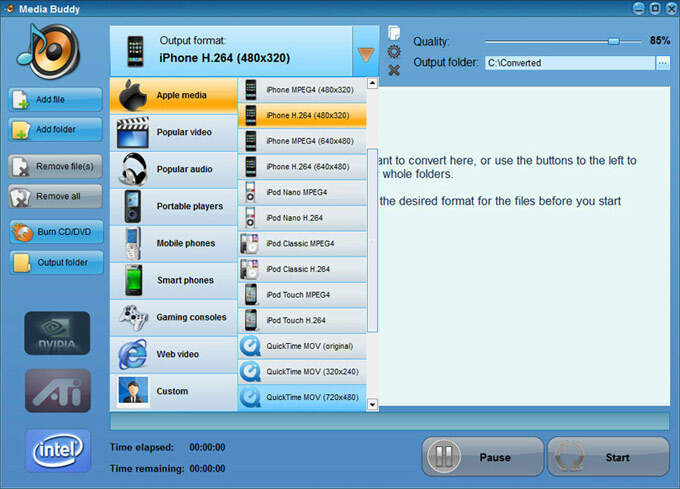 Download Media Buddy and convert your files faster than with any other converter on the market. Only Media Buddy fully utilizes your computer's hardware to achieve better conversion speeds than possible before. Enjoy music and videos on your portable device anywhere. With a program like Media Buddy it's easier than ever.